Leovet®'s Hoof Lab Elastic Cream promotes hoof elasticity and stability. When the resilience and elasticity of the hoof horn is improved so are the hoof walls and heels. 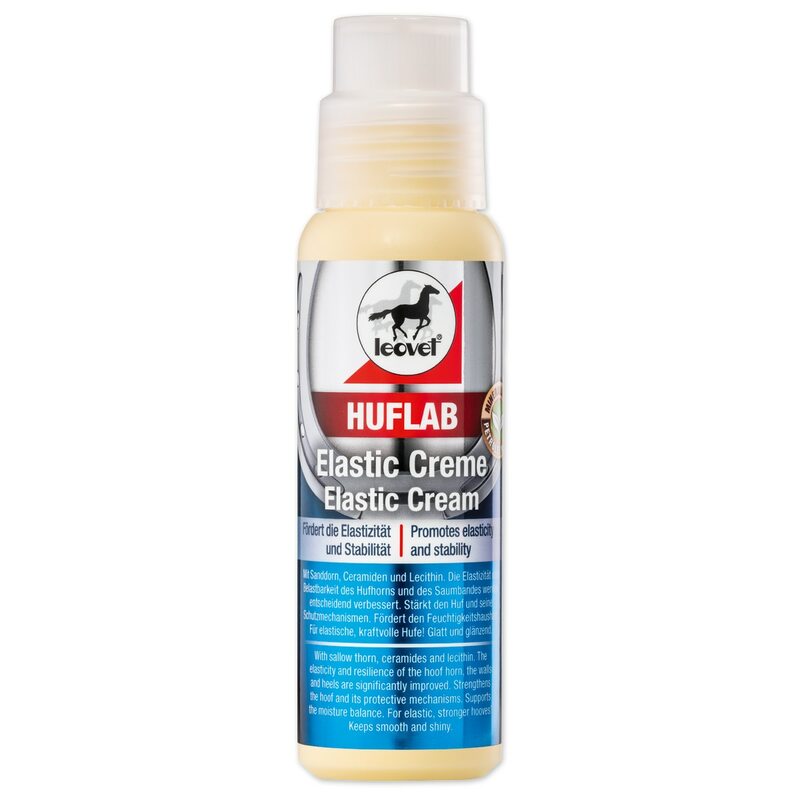 This cream strengthens the hoof and it's protective mechanism while supporting the moisture balance. The perfect product to keep hooves smooth and shiny while improving strength and elasticity. Does not contain petroleum jelly, mineral oil, or parabens! Evenly apply to the clean hoof walls, and if necessary to the sole and frog, two to three times a week. Can also be used in combination with Leovet Hoof Lab Hoof Hardener.